It used to be that a visit to Universal Orlando was typically tacked on to a Florida vacation spent primarily at Walt Disney World—if it was tacked on at all. Then, along came The Wizarding World of Harry Potter, and everything changed. Now, Central Florida's other theme park resort is a destination in its own right with two bustling theme parks (each with its own Harry Potter land), a water park, a bunch of hotels, and the lively CityWalk dining/shopping/entertainment district. It is expanding at a furious pace and aims to compete against The Mouse down the street on a level playing field. Why Visit During a Less Crowded Time? 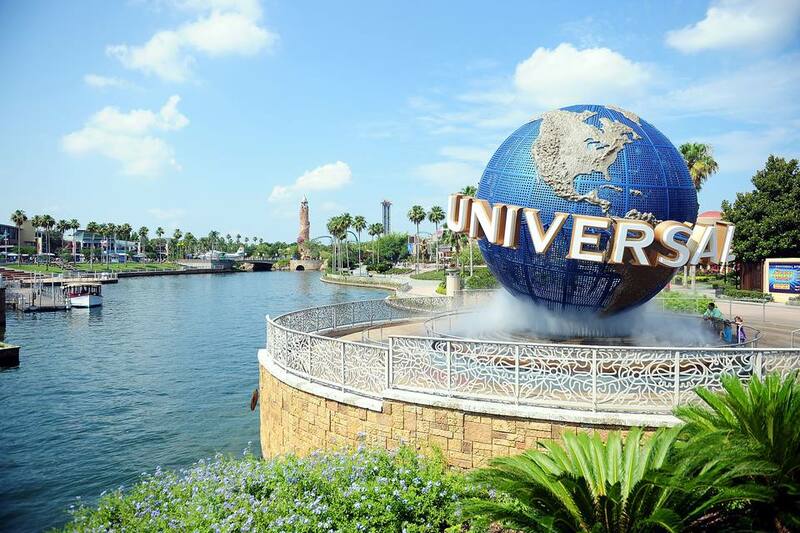 By "bustling" theme parks, we mean that both Universal Studios Florida and Islands of Adventure are filled with extraordinary attractions and other wonderful things to do—as well as lots of people. If you show up during an especially busy time, you could end up spending a lot of time waiting in long lines as well as spending a lot of money for on-property accommodations. Rather than making Universal Orlando an afterthought, plan ahead and schedule your visit during one of the slower times of the year. It's true that admission passes to the parks generally cost the same no matter when you visit. But when you visit during a less crowded time of the year, you'll be able to get on more rides and derive more value from your ticket purchase. If you plan on staying at one of Universal's on-property hotels, the rates can be considerably lower during the offseason. There are many great reasons to consider staying on property. For one, all of the hotels, which are managed by Loew's, are wonderful and offer great accommodations. For another, since you will be a short walk, pleasant boat ride, or a bus ride away, you'll be able to get an early start and stay late at the parks—two strategies that are critical for minimizing waits and maximizing the value of your ticket purchases. Significantly, all guests at the Portofino Bay, the Royal Pacific, and the Hard Rock hotels get complimentary front-of-the-line access for most of the attractions and shows at both parks. The moderate Sapphire Falls and the value-level Cabana Bay Beach hotels do not offer the perk. Guests of those hotels, along with off-property visitors, can purchase Universal Express Plus Passes which offer skip-the-lines access, but the passes are available on a limited basis. And, get this—the prices vary according to the time of year visited. Universal charges a hefty premium for in-season Express passes. That's yet another reason to plan your visit during the slower times of the year. Guests at all of the hotels, including the Cabana Bay Beach and Sapphire Falls, can get early admission to both of the Wizarding World lands at Islands of Adventure and Universal Studios Florida. During the extra morning hour, before the crush of the general public crowds, the lines can be much more manageable. The off-off-season with the least amount of visitors and the lowest hotel prices are January to mid-February and early December. Stay away from Presidents' Week and Martin Luther King Day (and, in general, try to stay away from holidays. Obviously, that is when more people plan to visit the parks). The next best times of year to visit are the off-seasons in September and October (as a bonus, you can experience the incredible Halloween Horror Nights), early November (stay away from Thanksgiving), mid-December, April (stay away from Easter) and early May. You will find bigger crowds and higher hotel prices in late May, early June, and late August than the periods listed above, but these times of year are still considered the off-season. You would still likely enjoy your visit more and get better value than during the in-season times listed below. The peak periods (which you should avoid unless money is no object, you don't mind huge crowds, and/or you have no choice) dovetail with when kids are out of school. The summer school vacation period of late June, July, and early August (as well as the Thanksgiving break) is the prime season at Universal Orlando. The absolute worst times of year to visit, when the crowds are the heaviest and, according to the laws of supply and demand, the hotel prices are at their highest are the Christmas and Easter holidays. The week between Christmas and New Year's can be especially crowded. Universal has actually closed the gates to off-property visitors because its parks sometimes reach capacity the last week of December. If you find yourself planning a visit during busier times, all is not lost! Learn how to skip the lines at Universal Orlando, even when the crowds are huge. Which Universal Orlando Hotel is Best for You?